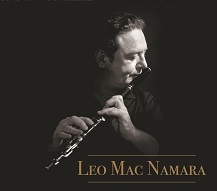 It is the culmination of many years of playing flute and tin whistle in both Ireland and the U.S. It captures my respect for the older Clare musicians from whom I learned many of the tunes on the album. 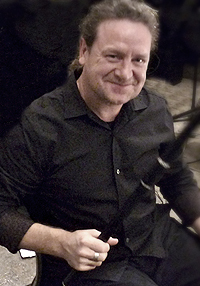 It showcases both duet playing with Triona Marshall on harp and several solo tracks. There are 14 total tracks of reels, jigs, and more. You can purchase the cd directly from me by using the links below. However, if you are in Ireland or elsewhere in Europe, you may find it easier to purchase the album from Custy’s Music Shop in Ennis. CDs will be mailed within 7 days (but probably sooner) of receiving your order. Originally from Portlaoise, Triona Marshall was principal harpist with the RTE Concert Orchestra for five years. Since 2003, she has performed solely on the Irish harp, playing with The Chieftains on tours throughout the world and as a solo and ensemble performer. Triona and I first met and played together at the 2013 Masters of Tradition festival in Bantry, Co. Cork. The album was recorded in 2013 and 2014 by Matt Purcell Audio in Feakle, Co. Clare, Ireland and Empty Sea Studios in Seattle, Washington, USA. It was launched on July 12, 2014 in Feakle, Co. Clare by Paula Carroll of ClareFM.